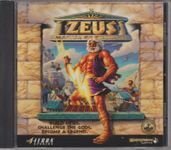 "Like previous titles in this series, Zeus focuses on the building and development of a city in ancient times. As with other games in the series, the player must build a city on an empty plot of land of variable size and resources. The percentage objectives were replaced by direct goals, such as treasury size, production rate, a monster slaying or conquering other cities. Source: Wikipedia, "Zeus:_Master_of_Olympus," available under the CC-BY-SA License.